Therapeutic massage is the practice of using touch as a healing method and is rooted in ancient history. It became popular in the United States in the mid-19th century however saw decreased use in the 1930s and 1940s. In the 1970s, massage therapy grew popular once again with a notable rise among athletes. Therapeutic massage consists of manual manipulation of the superficial and deeper layers of muscle and connective tissues using various techniques, to enhance function, aid in the healing process, relieve pain, reduce stress, and promote relaxation and well-being. It targets muscles, tendons, ligaments, fascia, skin, joints, or other connective tissue, as well as lymphatic vessels. 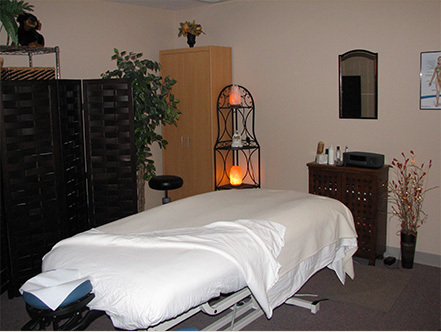 Some of the different types of body work offered at In the Spirit of Health include: Swedish Massage, Deep Tissue Massage, Neuromuscular Therapy, Myofascial Release, Sports Massage, CranioSacral Therapy, Reflexology, Pregnancy Massage, and Manual Lymph Drainage. 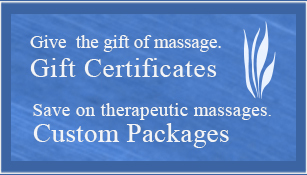 Swedish massage is a gentle, relaxing massage using a system of long strokes, kneading, and friction techniques. Deep tissue massage incorporates specific direct deep tissue or friction applied to muscles, tendons, and ligaments designed to break down adhesions leading to increased circulation and movement and reduced pain and inflammation. NMT is a comprehensive program of soft tissue manipulation techniques that balance the central nervous system with the structure and form of the musculoskeletal system. NMT uses static pressure applied to the skin to effectively lengthen contracted muscles and relieve other soft tissue restrictions thus restoring normal functioning of the area and reducing/eliminating pain. MFR consists of both direct and indirect approaches. The direct method engages the myofascial tissue restrictive barrier by applying a constant force until tissue release occurs. The indirect method involves the gentle application of pressure (stretch) over time (3-5 minutes) allowing the fascia to "unwind" itself. Both methods increase circulation and lymphatic drainage leading to pain reduction and increased mobility. The primary purpose of sports massage therapy is to help alleviate the stress and tension that builds up in the body's soft tissues during physical activity. Sports massage tends to be deeper and more intense and incorporates elements from Swedish massage and such techniques as stretching, compression, friction, and trigger point release. The focus is to effectively work with the client to bring about optimum performance and to provide injury-free training and minimize post-event injuries. Reflexology incorporates the application of pressure to areas of the feet and hands that correspond to areas of the body. Pregnancy massage incorporates Swedish massage techniques along with proper body positioning using bolsters and pillows. The resulting benefits can include: reduced back pain, reduced joint pain, improved circulation, reduced edema, reduced muscle tension and headaches, reduced stress and anxiety, improved oxygenation of soft tissues and muscles, and better sleep. Manual lymph drainage works directly with the lymphatic system - the system that carries lymph fluid, nutrients, and waste material between the body tissues and the bloodstream. The lymphatic system aids the immune system, the body's defense system against disease. MLD consists of four basic techniques, which are applied with a gentle and careful touch as the lymphatic vessels, on average, are less than one millimeter in diameter.